[How To] Transfer Playstation (PS1) Save Games From PC To PS1 Memory Card | Welcome to the Underground. * You need a method to boot the UlaunchElf utility. This can be done through Swap Magic, Modchip, Free McBoot, Memor32, or some other method. I will NOT waste my time explaining how to do this. Search the blog or Youtube. *A PS2 console system (fat or slim). Hardmod or softmod required. * This tutorial will be written around retail PS1 games. If your PS2 is able to play backed up PS1 games, great. The same method applies. I will not teach you how to play backed up PS1 games on the PS2. This is NOT the goal of this tutorial. * USB Thumb drive or similar device where you can store the PS1 save game onto to transfer to PS1 memory card. Note: Make sure to get the save game file that matches your region. Use NTSC save game file for NTSC regions, and PAL games for PAL regions. 1) Download the PSXGameEdit, PSX Raw Converter, and a PS1 save game of your choosing. Extract all programs and put the PS1 save game file into a folder of your choosing. 2) Run PSXGameEditor. Select ‘File -> Open Memcard Image’. 3) Find your save game file and click ‘Open’. 5) Go to ‘File -> Save Single Game Save’. 6) Save the file to a folder of your choice. OK, we are 1/3 of the way done. Now we need to convert the Sony Playstation Single game save into a format the PS1 memory card understands using the PSX Raw Converter. 7) In the folder where you saved the single game save file, put the PSX Raw Converter program into there. 8 ) Now left click the save game file and drag and drop it on top of the PSX Raw Converter program. It will automatically make a new save file. 9) Great! Now put this file onto the USB thumb drive. 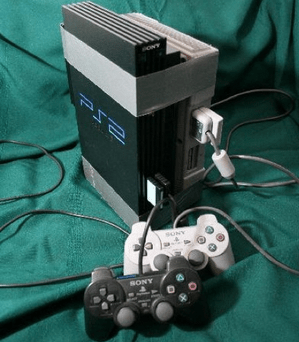 In the following steps, we will now be using the PS2 and UlaunchELF to transfer the save game file from the USB thumb drive to the PS1 memory card. 10) Launch ULaunchELF on your PS2 with whatever method you have learned to use. 11) Select ‘Filebrowser’, and then go to the USB device which is under ‘mass’. 12) Select the save game file, and press R1 on the controller. Select ‘copy’. 13) Now go back out to the root. Go into MC0 or MC1 depending on where your memory card is located. 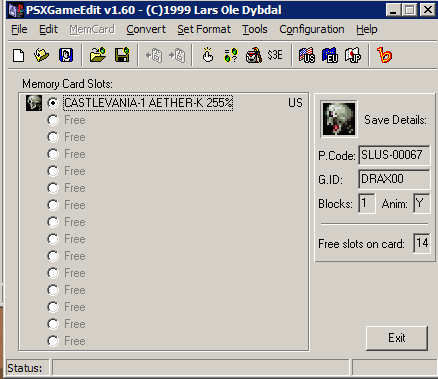 14) Press R1, select MCPaste, and it will paste your save game to the PS1 memory card. 15) Now let your PS2 load your PS1 game, and now you will have the new save file! Posted on October 9, 2010, in playstation, playstation 2 and tagged 1, 2, PC, playstation, PSX, Save Game, Transfer, tutorial. Bookmark the permalink. 11 Comments. The guide lacks some info like what file type is needed, but other than that, awesome tutorial that helped me find the right programs to do so. Please clarify on the file type please. Excellent tutorial. Thank you. I successfully transferred a Lunar: Silver Star Story save from the web to my Playstation memory card on the first attempt. Before I came upon this website I was thinking I might have to try using the Dexdrive system (which is supposed to be hard to get working on today’s pc’s). I’m glad I don’t have to bother with that thing now. Thanks. I used this to backup my PS1 saves to the PC. Was very easy. I followed all the steps and when I went to paste it onto my memory card it said paste failed. What am I doing wrong? Nevermind I got it to work though I did it somewhat differently. What did you do? I get the same thing.